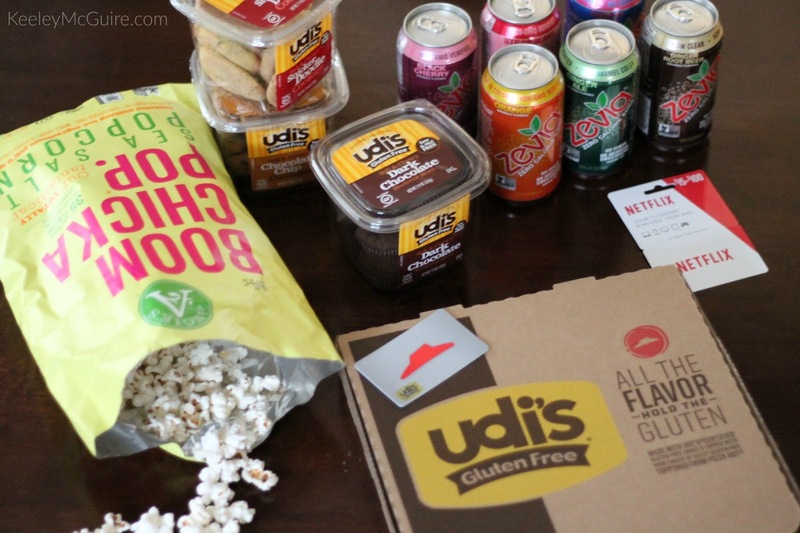 Gluten Free & Allergy Friendly: Udi's Perfect Gluten Free Pizza Party Night! Udi's Perfect Gluten Free Pizza Party Night! A few weeks ago, I shared about a "pizza party night" Little Miss, the fella, and I were having on our Instagram page. Udi's has partnered with Pizza Hut to offer Gluten Free pizza! And they *finally* started selling it at my local Pizza Hut store. (YAY!) 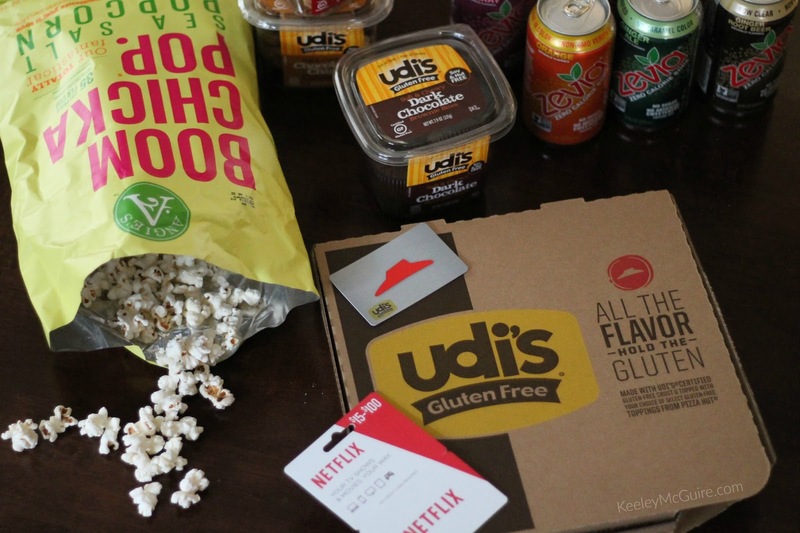 Udi's graciously sent us a gift card to Pizza Hut so we can give it a try, along with some other goodies, to make the Perfect Gluten Free Pizza Party Night! Besides the Pizza Hut gift card, we also received yummy desserts from Udi's! Little Miss loves their cookies and brownies, so she was thrilled to get Snicker Doodle and Chocolate Chip Cookies and the Dark Chocolate Brownie Bites. Our family is not soda drinkers. 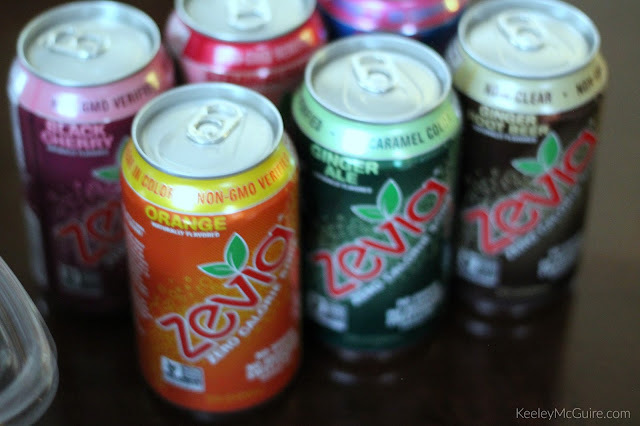 When I do indulge in one, I have for a couple years now enjoyed Zevia. No sugar, no artificial sweeteners, and now no added caramel coloring! It's also non-GMO verified. It was great getting some varieties to also try at our "Pizza Party" that I hadn't purchased before. 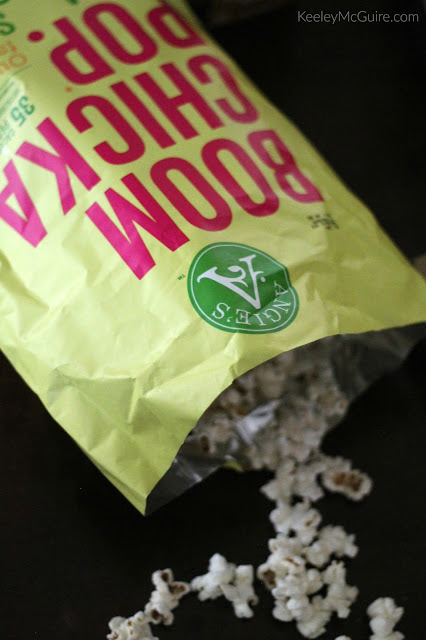 We're big fans of Angie's BoomChickaPop Sea Salt Popcorn! It's also non-GMO and gluten free. It's only 35 calories per cup, so *ahem* Mama's waistline likes that very much when it comes to her salty snack cravings. Hehe! To complete our Perfect Gluten Free Pizza Party Night we also received a Netflix gift card. So, I'm going to admit something here... My family is behind the times on the Netflix popularity train. Now... We're hooked! Little Miss has been into "Ever After High" (since she's read the chapter books) and right now they have a video series exclusive to Netflix. Imagine how excited this girl was to be able to stuff her face full of gluten free pizza and watch this!? As for this Mama and the fella? Well, we discovered all the Mad Men episodes were also on Netflix. Something we had wanted to watch, so we've been enjoying episodes after Little Miss goes to bed since our "Pizza Party" night. Even though we make our own at home using Udi's Pizza Crusts often, there's something special and extra delicious about ordering takeout. Plus, ya know, being able to pig out in front of the television is also a perk. Cautious about ordering Udi's Gluten Free Pizza from Pizza Hut? They're GIG certified & trained! It's best to also call your local chain and ask them questions to ensure you're comfortable with their practices. Read more about the certification and preparation HERE. My friend Erica of Celiac & The Beast had the opportunity to visit Pizza Hut corporate to learn more about Udi's & Pizza Hut's partnership and their practices. Check out her post HERE. 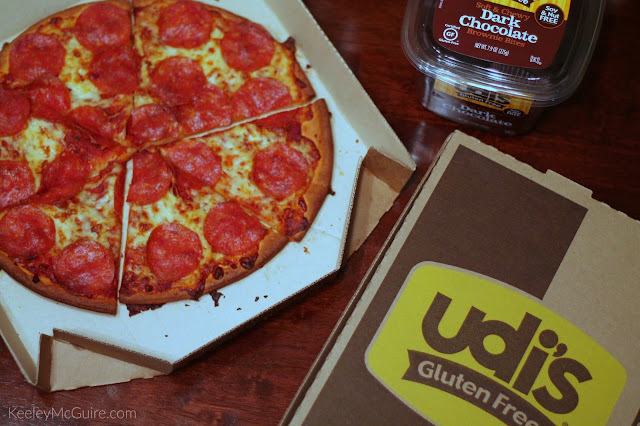 Disclaimer: I was given the above mentioned gift cards and food items by Udi's Gluten Free to write an honest review of Udi's Pizza from Pizza Hut. All opinions are my own.